The CPTPP will create significant value for the industry by eliminating tariffs on kiwifruit exports into all 11 Asia-Pacific signatory nations. ​Zespri welcomes the signing of the Comprehensive and Progressive Agreement for Trans-Pacific Partnership (CPTPP) last friday in Chile, with the New Zealand kiwifruit industry set to benefit significantly from the agreement. The CPTPP will create significant value for the industry by eliminating tariffs on kiwifruit exports into all 11 Asia-Pacific signatory nations, as Zespri Chief Executive Dan Mathieson explains. 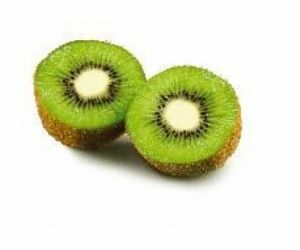 The other countries in the agreement � Brunei, Chile, Singapore, Australia, Peru, Vietnam, Malaysia, Mexico and Canada � either do not have tariffs on kiwifruit, have existing free trade agreements with NZ or do not currently import NZ kiwifruit. �We see the benefits most clearly in Japan, where New Zealand kiwifruit growers paid over $26 million in tariffs last season. This tariff relief will means savings for our growers and benefits for Japanese consumers by supporting our competitiveness against other fruit in market,� says Mr Mathieson. Japan has been one of Zespri�s top markets for volume and value over two decades and annual sales volumes to Japan are expected to increase around 25 percent over the next five years. Zespri has grown sales in Japan by around one-third over the past three seasons in challenging market conditions, with sales of $514 million in the 2016/17 season. Over the past 20 years, Zespri has become one of New Zealand�s top global consumer foods brands both in Japan and around the world. �Our industry is on track to more than double global sales to $4.5 billion by 2025, as we increase production to meet rising global demand for fresh, healthy premium food. The reality is that New Zealand�s economy is underpinned by exports and agreements like this are critical to securing our ongoing access and competitiveness around the world. �The kiwifruit industry accounts for around 18,000 fulltime and seasonal jobs and a recent report from the University of Waikato forecasts another 29,000 new jobs in our industry by 2030 in New Zealand � these trade agreements underpin prosperity in rural New Zealand. �We congratulate the government on successfully concluding this important trade agreement and acknowledge the commitment and dedication of MFAT and MPI trade officials and previous Ministers over the years,� says Mr Mathieson.